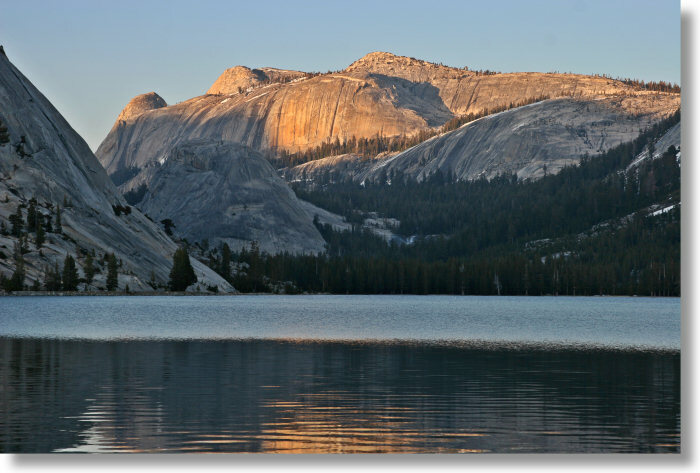 Tenaya Lake is both the largest and the most spectacular lake in Yosemite. It's a mile long and surrounded by too many monstrous peaks to fit into this photo (see this view from Olmsted Point for more of them.) The surveyors who laid out Tioga Road, obviously no dummies, sent it right along the lake's northern edge (you can see the road on the left side of the photo), so you can get this view in person with minimal effort.